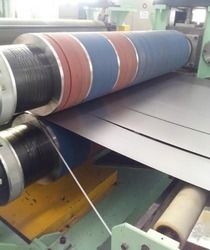 Providing you the best range of pu rubber spacer, nbr rubber spacer, metallic bonded spacer, stripper rings, plastic shim and overarm separator spacer with effective & timely delivery. 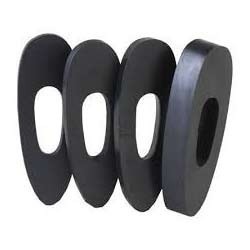 We are the leading enterprise, engaged in providing superior quality PU Rubber Spacer. This spacer is manufactured in compliance with international quality standards using high grade rubber with the help of sophisticated technology by our experts. The offered spacer is available with us in various sizes to fulfill specific requirements of clients. This spacer is used for various industrial applications and an avail from us at market leading price. Owing to our rich domain expertise and market knowledge, we are offering an excellent quality range of NBR Rubber Spacer. Keeping in mind international quality standards, the offered spacer is manufactured by our experienced professionals using supreme grade rubber and highly developed technology. Widely demanded in the market for its durability, clients can avail this spacer from us in various specifications as per their exact requirements. 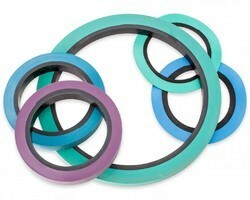 Polytec Stripper Rings are manufactured from a time tested and field proven proprietary nitrile formula. There is no one else who has this recipe. Our material is engineered to resist damage from oil, to retain its size and shape and resists stretching, and can be maintained by grinding. 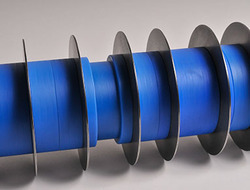 We can also offer rubber stripper rings with fiber reinforcement to help maintain fit for demanding applications. We provide different types of fit for the ID of the rings to the spacers. Beside the most common request of snug fit, we can also make them tight, slip or loose. We can provide vibrant colors which are easily identifiable when dirty and in low light. We have 30 years of experience of solutions to your technical problems and advice for proper use and care of rubber stripper rings. 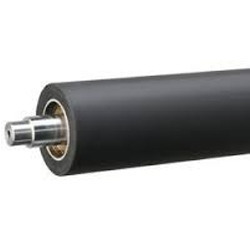 We are manufacturing rubber spacers, stripper rings, metal bonded spacers, NBR Spacers, Neoprene Spacers, PU Spacers as per drawing, specifications according to buyers requirement and application needs. Only FOUR ZERO offers Plastic Shims in a choice of 23 thicknesses from 0.010 mm to 1.00 mm (0.0004" to 0.040"), each with its own colors to assure quick, accurate shim selection. With POLYTEC the Color Identifies the Thickness. POLYTEC offers Plastic Shims in various thicknesses with different colors for instant accurate thickness identification. This eliminates need for micrometer, thus saves time and reduces error. POLYTEC Shims are manufactured from tough, long-wearing, non-compressible highest quality plastic, that is oil and grease resistant. POLYTEC Shims are made with utmost precision and are reliable for consistent performance throughout under normal operating conditions. POLYTEC Color Coded Shims are easy to cut. When cut open, they slide easily between Metal Spacers, eliminating the need to remove Cutters and/or Spacers from the Arbor. POLYTEC Shims are available in all popular thicknesses from 0.01 mm to 1.00 mm (0.0004” to 0.040”). Orders with POLYTEC are normally executed / dispatched within 3 to 4 weeks. In critical emergencies, we do everything possible to help our valued customers. that your slit materials are not damaged. Our materials have been field tested for 30 years and have proven to be superior. What sets our overarm spacers apart is that all the surfaces are machined so you get accurate setups. 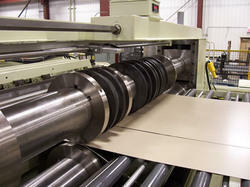 We can also manufacture grooves in the OD of wider spacers for use in installing metal banding during coil packaging. 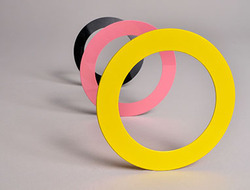 Stripper Rings Our stripper rings are bonded with Rubber or Cast Polyurethane. They are suitable for high slitting speeds and offer a positive drive and no possibility of slipping while stripping the slit strip. - with steel cores to maintain spacer thickness quality. - coated with Rubber or Cast Polyurethane in different colours and Shore hardness These Stripper Rings allow the achievement of high speed slitting. In conjunction with good abrasion resistance they offer a highly effective stripping method. A special protective coating of the steel core can prevent rust formation. For easy differentiation, the different female and male sets and their various outer diameters are color coded. POLYTON rubber bonded spacers have excellent physical properties such as tensile strength, breaking elongation and tear strength. We bring forth an extensive collection of Rubber Spacer that is precisely manufactured using premium quality rubber with the help of advanced technology. Extensively demanded in the industry, the offered spacer is available in various sizes to meet specific requirements of clients. The offered spacer is used in diverse industries for several applications. Also, we check this spacer on several parameters of quality to avoid any kind of flaw. Owing to the proficiency of our experienced professionals, we are able to offer the best quality assortment of PU Spacer. This spacer is manufactured using supreme quality PU rubber with the help of latest technology. We check this spacer on different quality parameters at each stage of manufacturing, which ensure its perfect finish. Used for various construction applications, this spacer is offered at very reasonable price to the clients.